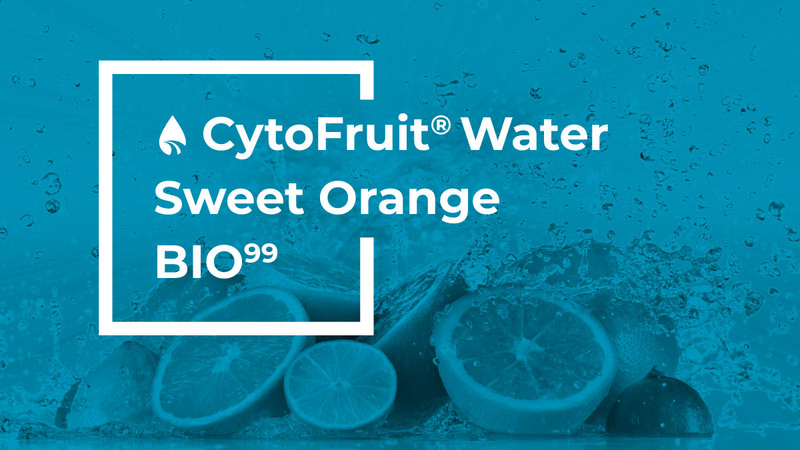 CytoFruit® Waters are the result of a symbiosis between technology and sustainability. An apparently basic product in cosmetics, such as water, can play an important role in the sustainability of your formulating process. First ingredient in most of cosmetic products, it represent a good target to be replaces by sustainable alternatives than drinkable water. 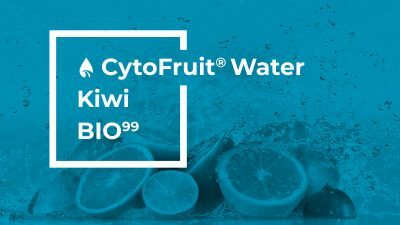 Taking water from fruits, we enrich the products also of a series of biological properties. Line of fruit-derived waters to replace or substitute the use of demineralized water. The non-competition with food supplies or drinkable water is insured by the decision to use only ingredients that have entered and then exited the food chain. In this way, no drinkable water is subtracted, keeping it precious for human kind, and following our ethical choice of balance between People, Quality and Environment. 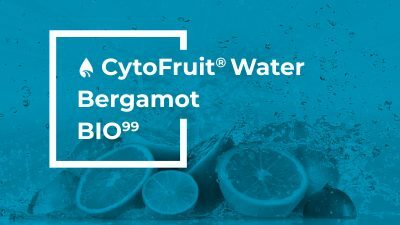 Active waters naturally processed by the fruit and bearing all the intrinsic richness of the plants. They can be defined as microbiologically pure, and showed in vitro more biological benefits than demineralized or distillated waters. Furthermore, their composition makes them more natural than any bio-compatible solvent and proved to be dermo-compatible, respecting all skin types. allows the final waters to bear all the intrinsic richness and benefits of the native active plant components. 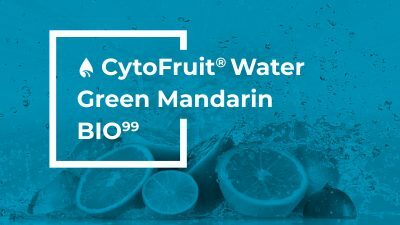 Such production cycle allows to avoid the subtraction of drinkable water for cosmetics, too precious for human consumption, and falls perfectly in our ethical choice to find the right balance between People, Environment and Life. These fruit waters obtained without flash distillation nor microwaves are the result of only natural processes from purest juices. 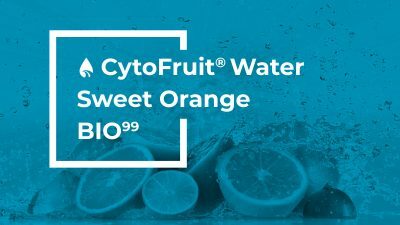 CytoFruit® Waters are released with a controlled flow of oligo-elements and functional actives obtained from a biological filter, closer to skin’s needs than a mineral filtered water. A balanced composition results in Life enriched, active physiological waters.